David McKay does not have any MLB stats for the season. Draft: 2016, Kansas City Royals, 14th rd. David Armstrong McKay…resides in Satellite Beach, FL…2013 graduate of Viera (FL) High School…selected by the Mets in the 30th round of the 2013 Draft; did not sign…played at Florida Atlantic from 2014-16…selected by the Royals in the 14th round of the 2016 Draft. Made stops with High-A Modesto, Triple-A Tacoma and Double-A Arkansas…in 35 relief appearances with Arkansas, was 5-1 with 1 save and a 2.49 ERA (14 ER, 50.2 IP) with 71 strikeouts and 21 walks…limited opposing batters to a .199 (36x181) average against…fanned at least 1 batter in 32 of 35 games…averaged 12.61 strikeouts-per-9.0- innings (71 SO, 50.2 IP)…worked at least 2.0 innings in 10 of 35 outings with Arkansas…in 8 outings in the month of May, was 1-0 with a 1.35 ERA (2 ER, 13.1 IP) with 19 strikeouts and 4 walks…appeared in 1 game with Tacoma…made 6 appearances over two stints with Modesto, striking out 14 in 7.2 innings of work…played for Peoria in the AFL. Combined for 20 games (14 GS) with Single-A Lexington and Rookie League Idaho Falls. Made 12 appearances (5 GS) in pro debut with Rookie League Burlington. April 2, 2019 Seattle Mariners optioned RHP David McKay to Tacoma Rainiers. March 30, 2019 Seattle Mariners selected the contract of RHP David McKay from Tacoma Rainiers. March 30, 2019 RHP David McKay assigned to Tacoma Rainiers from Arkansas Travelers. 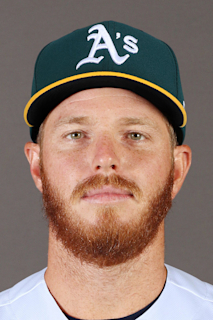 January 24, 2019 Seattle Mariners invited non-roster RHP David McKay to spring training. April 29, 2018 RHP David McKay assigned to Arkansas Travelers from Modesto Nuts. April 11, 2018 RHP David McKay assigned to Modesto Nuts from Tacoma Rainiers. April 10, 2018 RHP David McKay assigned to Tacoma Rainiers from Modesto Nuts. April 2, 2018 RHP David McKay assigned to Modesto Nuts. March 20, 2018 Idaho Falls Chukars traded RHP David McKay to Modesto Nuts. June 19, 2017 RHP David McKay assigned to Idaho Falls Chukars from Burlington Royals. May 2, 2017 RHP David McKay assigned to Burlington Royals from Lexington Legends. April 3, 2017 RHP David McKay assigned to Lexington Legends from Burlington Royals. February 27, 2017 Idaho Falls Chukars released RHP David McKay. June 20, 2016 Kansas City Royals signed RHP David McKay. June 20, 2016 RHP David McKay assigned to Burlington Royals.